As wonderful as the sun is, it can take it’s toll on skin and hair. We all know that it’s vital to wear sunblock to protect our skin but what do we do to protect our hair? The combination of sun and water can reek quite a bit of damage. Hair breakage and colour fading are common problems from too much sun and both chlorinated and salt water can leave hair discoloured and dry. Philip has a special offer just for my Ageless readers. 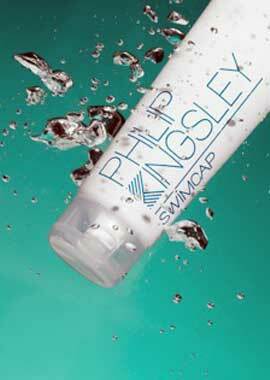 Buy any 2 full sized PK products and get a Swimcap (worth over £10) free. All you need do is type “swimcap2013” in the voucher code box on checkout to redeem. I highly recommend all his products and use them myself regularly.